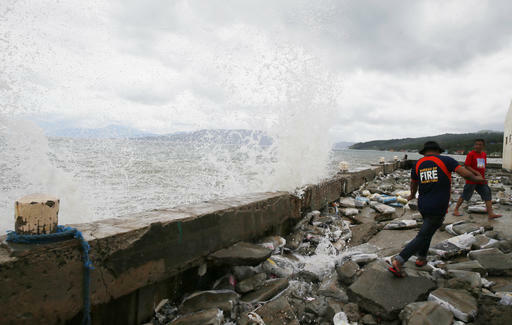 BATANGAS, Philippines -- A powerful typhoon blew out of the northern Philippines on Monday after killing at least six people and spoiling Christmas in several provinces, where more than 380,000 people abandoned celebrations at home to reach emergency shelters and other safer grounds. 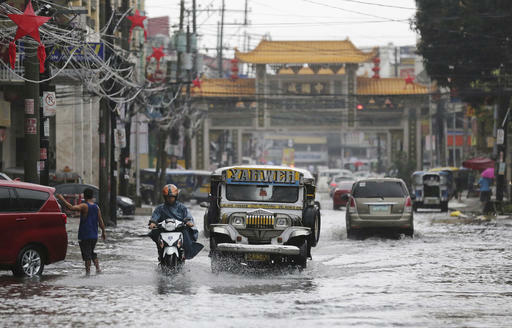 Typhoon Nock-Ten cut power to five entire provinces due to toppled electric posts and trees, dimming Christmas revelries in Asia's largest Catholic nation. More than 300 flights were delayed or re-scheduled and ferries were barred from sailing, stranding more than 12,000 holiday travelers. 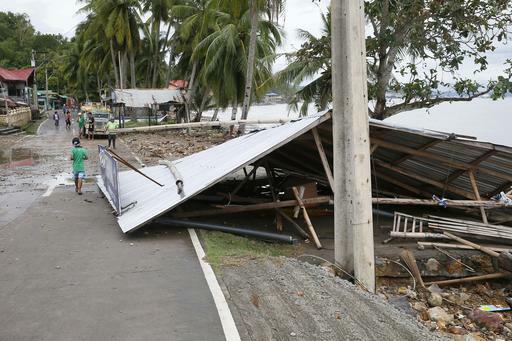 Six people died from drowning or by being pinned by fallen trees, poles and a collapsed concrete wall in the provinces of Quezon and Albay, southeast of Manila, after the typhoon made landfall in Catanduanes province Sunday night, officials said. 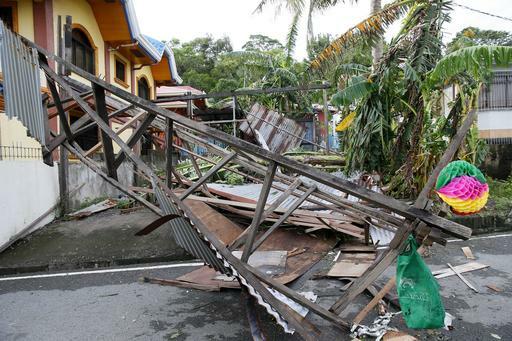 Nock-Ten, locally known as Nina, then blew westward across mountainous and island provinces, damaging homes, uprooting trees and knocking down communications. 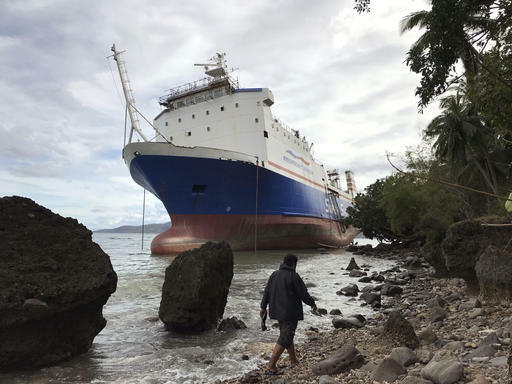 After weakening on landfall, the typhoon had sustained winds of up to 120 kilometers (74 miles) per hour and gusts of 180 kph (111 mph) when it blew into the South China Sea after battering the congested provinces of Batangas and Cavite, south of Manila, government forecasters said. 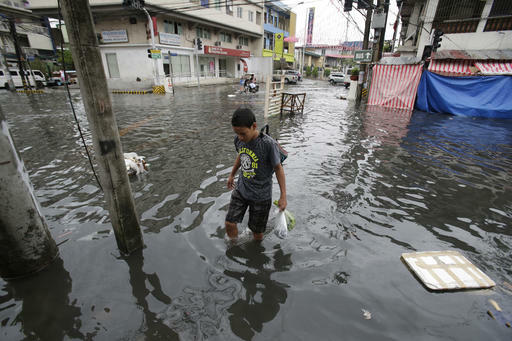 "Some residents just refused to leave their homes even when I warned them that you can face what amounts to a death penalty," Cedric Daep, a top disaster-response official in Albay, said by phone. 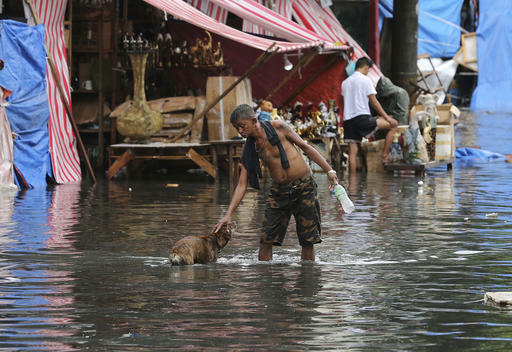 Shopping malls and stores were ordered to close early on Christmas Day to encourage people to remain indoors, "but at the height of the typhoon, many cars were still being driven around and people were out walking," Daep said. "We warned them enough, but we just can't control their mind." 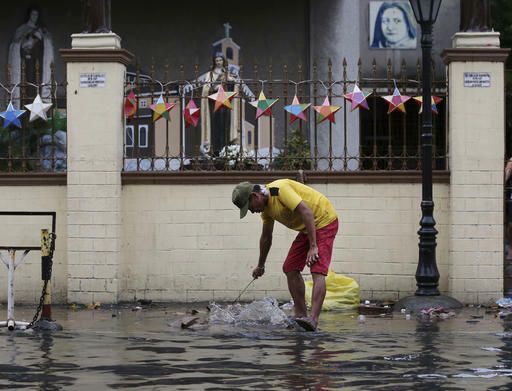 Officials in Albay, where more than 150,000 villagers were displaced by the typhoon, declared a "state of calamity" on Sunday to allow faster disbursement of emergency funds. 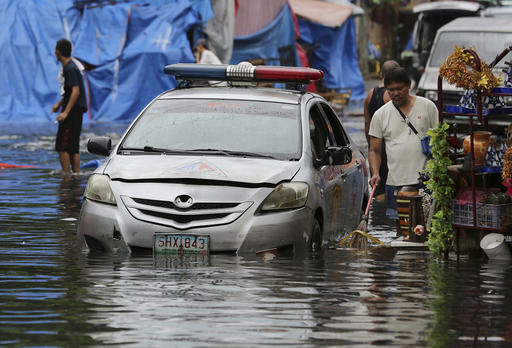 About 20 typhoons and storms lash the Philippines each year. 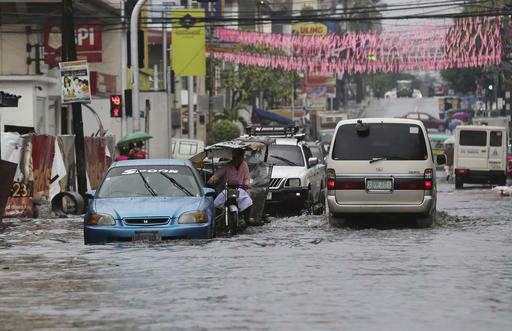 In the past 65 years, seven typhoons have struck the country on Christmas Day, according to the government's weather agency. Tens of thousands of villagers, forced to spend Christmas in crowded and powerless emergency shelters, started to return home Monday to deal with the damage. "They have left the evacuation centers and we're seeing the sun again," Ann Ongjoco, mayor of the town of Guinobatan in Albay, one of five provinces that lost electricity, said by phone. But she said her town, where more than 17,600 villagers fled to shelters in schools, will not be able to resume the holiday celebrations because of the post-typhoon mess. "Many houses made of light materials were destroyed," she said.